This post is a bit of an apology, I've been a bit rubbish on the blogging front lately due to exams and I have just moved house into the middle of the country and am also in the process of moving into a new house at uni so things have been a bit mad lately! But I intend to be back to my normal blogging schedule very soon once a few boxes have been unpacked and I've had a couple more lie ins. 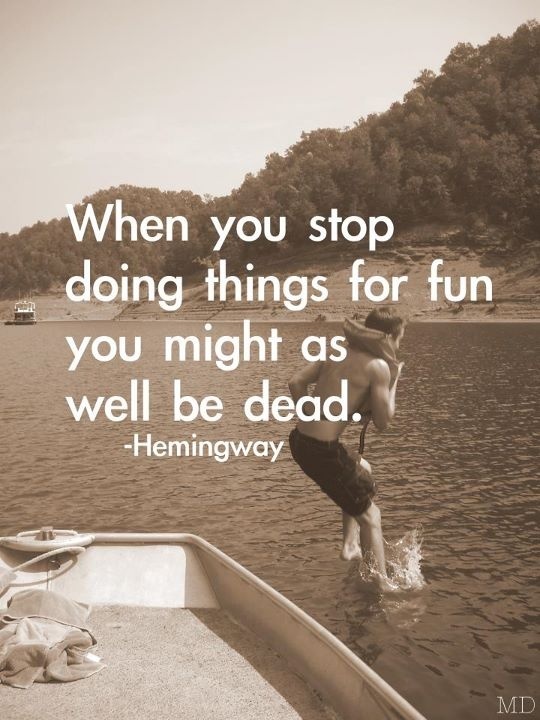 For now however here is one of my favourite quotes from good old Hemingway just to remind me that life isn't just about packing and unpacking and organising and being stressed. I hope it inspires you too! Have a good weekend. Let me know in the comments below your weekend plans.